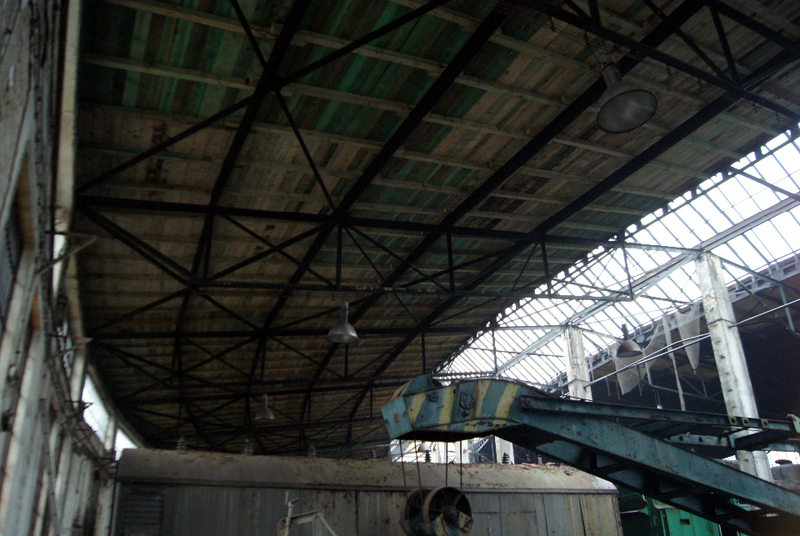 Repairs of the roundhouse roof finished! On Tuesday, 16th December, took place the inspection of final in this year renovation works in the Shed. Inspection was carried out by conservationist officers and the representatives of the City Council in Skierniewice. Company “Marbudex” once again proved its trustworthiness – the repairs above stands 4 to 6 were finished flawlessly and on time. 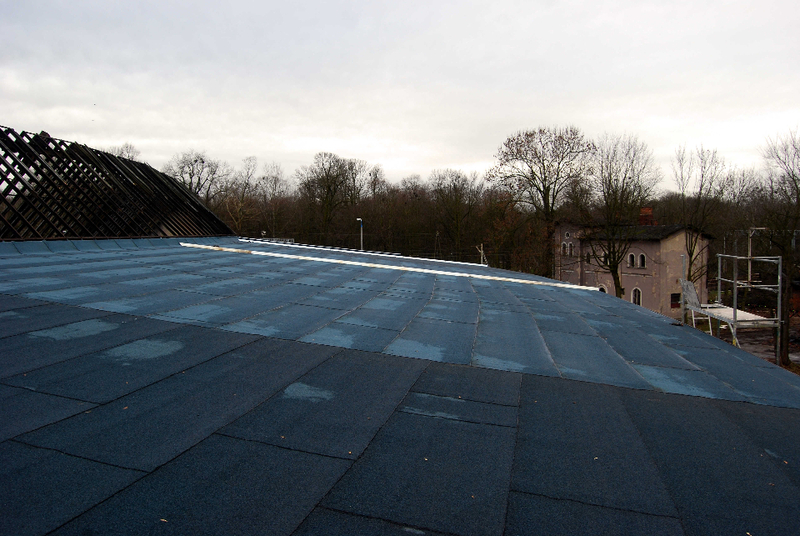 In this way, we have finished the replacement of the outer cladding of the roof. The works were possible thanks to the support of the City Council in Skierniewice (50 000 PLN) and donations from 1% of income tax for 2013. Total cost of the latest works amounted over 55 000 PLN. 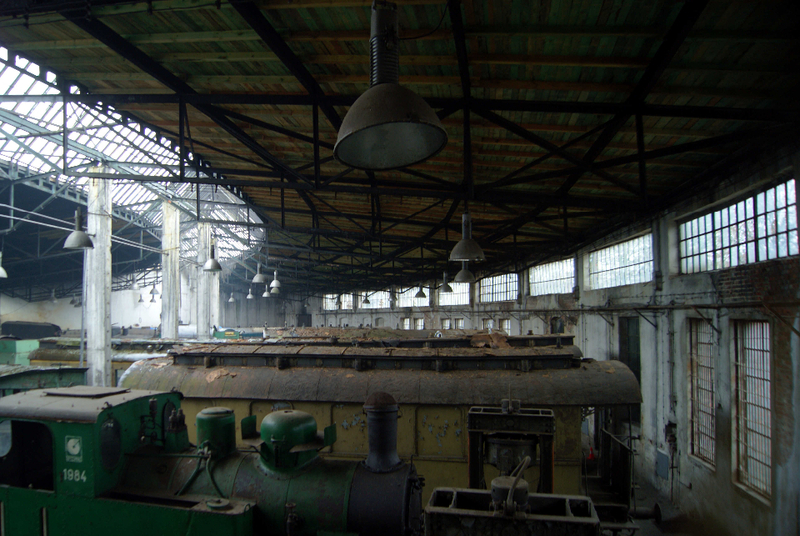 Nevertheless, there is still some work to be done – the rebuild of the roundhouse’s skylight still waits for its part. Currently, we are completing the building documentation regarding the future repairs. 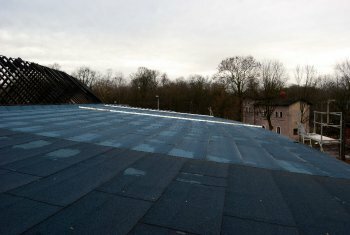 We also plan to finish the repairs of the workshop’s roof. To sum up, the total cost of the roundhouse’s roof repairs reached 350 000 PLN.